Antigua vacations are ideal for couples and honeymooners looking for that special once in a lifetime destination. A vacation package to Antigua from United Vacations will give you access to hundreds of secluded beaches and seemingly endless sparkling water. Spend the day soaking up the sun at Pigeon Point or splashing around at Valley Church Beach. Adventure seekers should gear up for an afternoon of snorkeling at Cades Reef, exploring ancient shipwrecks deep beneath the waves, or kite surfing at Jabberwock Beach. 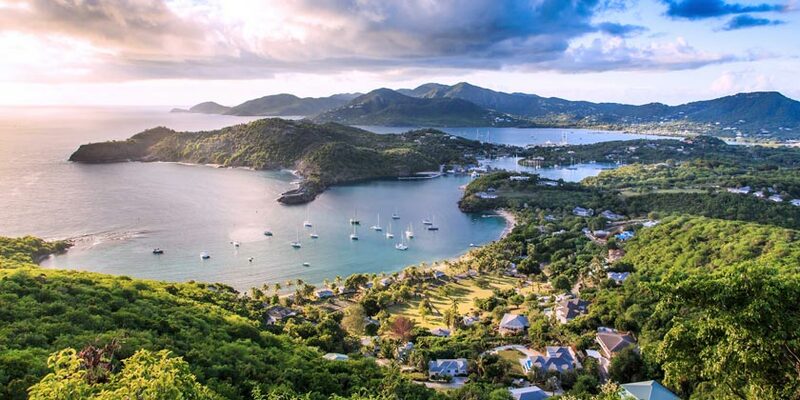 If you do happen to get tired of the sand, take a break by roaming the cobblestone streets, perusing charming boutiques and galleries, or touring the Antigua Distillery for a spirited way to experience the island offshore. But first, you have to decide to leave the alluring ocean, which isn’t easy. Book your next vacation package to paradise through United Vacations today. Come discover the adventure of off road landscapes of Antigua onboard our specially equipped Island Safari 4X4 Land rover. This catamaran cruise around the island is aboard the fastest catamaran in Antigua. Resort info: Set amidst exotic palms and fragrant flowers, this resort offers an exclusive vacation experience of complete relaxation and romance. Resort info: This resort offers a pristine beachfront location, exquisite dining, water sports and a romantic atmosphere all its own.